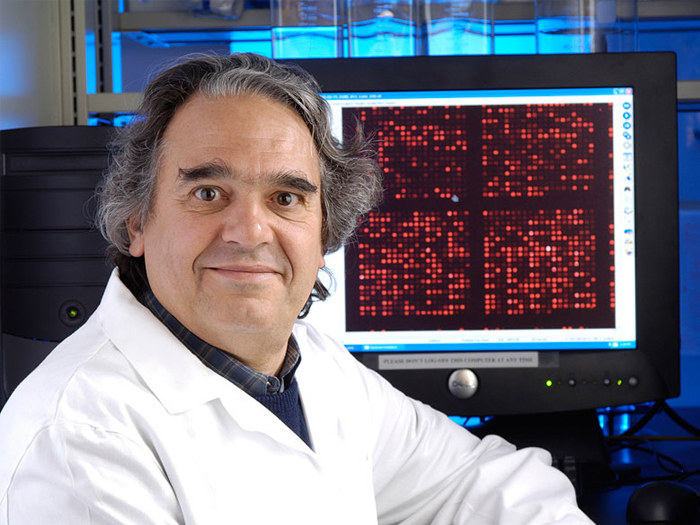 Carlo Croce, who has had numerous papers retracted and corrected for issues including image manipulation, has received an award for more than $300,000 for his achievements in personalized medicine. Croce, chair of the Department of Cancer Biology and Genetics at The Ohio State University, shares this year’s award with two prominent researchers—Mary-Claire King, a professor of genome sciences and medicine at the University of Washington in Seattle, and Bert Vogelstein, a professor of oncology at Johns Hopkins School of Medicine in Baltimore. However, Croce has also been dodging misconduct accusations for decades, and his work continues to face scrutiny. By our count, Croce now has seven retractions, including one from last August for “errors that occurred in the construction” of several images. Croce has denied any wrongdoing, and is currently suing the New York Times over an article it ran about the allegations, along with a professor at Purdue University who served as a key source for the Times story. The international ad-hoc committee for Personalized Medicine composed of the most respected, top scientists, recommended to award the Prize to Prof. Carlo Croce in view of his proven singular contributions to Personalized Medicine. The Dan David Prize Board accepted the committee’s recommendation. The committee that recommended Croce for the Dan David Prize was chaired by one of Croce’s long-time collaborators Peter Vogt, who runs a lab at The Scripps Research Institute in La Jolla, California. (Vogt and Croce were coauthors on a 2017 paper in PNAS). Croce has also co-authored several papers with two other members of the committee—Webster K. Cavenee and Nancy Jenkins. [Croce] is a pioneer in the unraveling of the molecular basis of a number of lymphoma and leukemia cancers. Mastering both cytogenetics and molecular biology, he identified the role of major oncogenes as drivers of cancer development, progression and resistance to therapy. v-Jun targets showing an expression pattern that correlates with the transformed cellular phenotype. Iacovoni JS1, Cohen SB, Berg T, Vogt PK. Proc Natl Acad Sci U S A. 2004 Sep 14;101(37):13613-7. Epub 2004 Sep 1. Aoki M1, Jiang H, Vogt PK. 8th retraction for Carlo M Croce. Volume 21, no. 7, p. 2485–2495, 2001, https://doi.org/10.1128/MCB.21.7.2485-2495.2001. The publisher hereby retracts this article. Questions have been raised by concerned readers about the integrity of the data. The American Society for Microbiology has reviewed the figures and confirmed evidence of apparent manipulation and duplication. Since the integrity of the data as presented was compromised, this publication is retracted in its entirety. We apologize to the readers of Molecular and Cellular Biology and regret any inconvenience that this causes. The authors did not agree to this retraction. Previous Previous post: Caught Our Notice: Should publicly funded research tools be free for researchers to use?